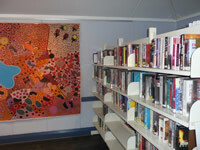 Wiluna’s Public Library is situated at the Shire’s Administration Office in Scotia Street, Wiluna. 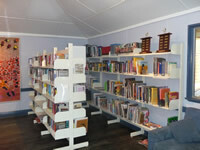 The library uses a newly installed automated library system and rotates the stock approximately every 6 weeks. The quality of the material is excellent and there is something different for everyone. There is a large range of books – fiction and non-fiction, videos, audiocassettes and CD’s suitable for both adults and children. The Shire has a training room with computers for public access.